The Port of Kalundborg wants to create the most optimal working framework for its customers so that maritime freight handling is done effectively and with minimal delays. 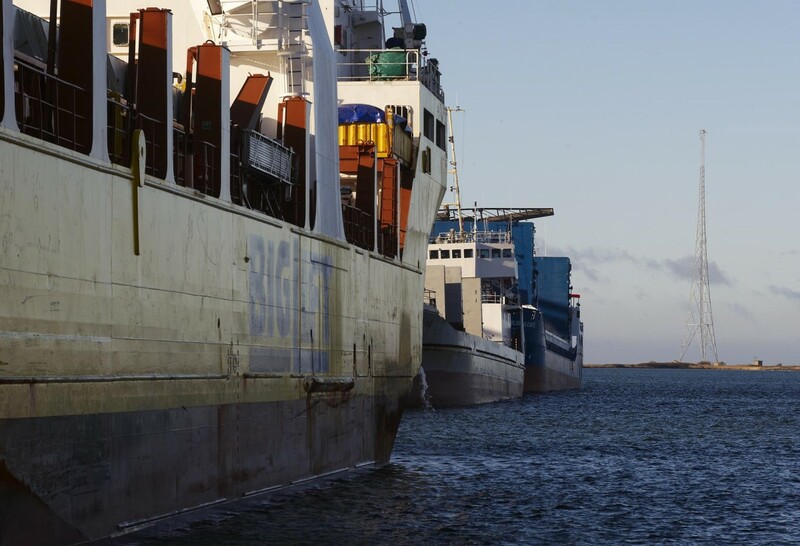 The Port of Kalundborg has five lineal kilometres of quays, as well as cranes and other equipment for freight handling, meaning a perfect infrastructure for rapid expedition of shipping operations. If you are looking for the perfect location for your business, we still have space available – email us, or call one of the numbers listed below. Kalundborg is centrally positioned in Denmark, and for that reason is a natural starting point for passenger traffic connecting Zealand with the island of Samsø. The Port of Kalundborg has excellent facilities for handling heavy general cargo. Our Fantuzzi and Gottwald cranes were purchased with this particular type of cargo in mind as its primary focus of operation. Contact us for a constructive dialog for the solution of general cargo projects. Dry cargo covers a broad range of agricultural products, such as fertilizer, grain, feed, and building materials. The Port of Kalundborg is one of Denmark’s largest general cargo ports, primarily with grain shipments. The Port of Kalundborg has deep water, and plenty of dock space, which is necessary for the handling of dry cargo. The Port of Kalundborg has some of the country’s largest terminals for handling dry cargo. Our strength in handling dry cargo lies in rapid loading of general cargo from trucks to ships, as well as a rapid unloading of cargo from ships to warehouses, or to trucks for direct distribution to recipients. Liquid cargo comprises crude oil, petroleum products, chemicals, and tar. Liquid cargo is at present handled at quays 10 and 11. Liquid cargo is one of the areas of operation that we are working on for increased capacity. The Port of Kalundborg has several ro/ro quays and can handle all cargo that is hauled onboard the ships on trailers and trucks. Ro/Ro are at quays 12 and 10. Kalundborg Container Terminal is serviced by the Unifeeder extended network in Northern Europe. Kalundborg has a direct connection to and from the large container ports in Hamburg and Bremerhafen. Also connection to the UK, Poland, The Baltic States, Russia and Finland. Kalundborg Container Terminal intends to become one of the best container feeder ports in Denmark. The Port of Kalundborg has large areas close to the quays that can be used for project cargoes. We are always ready to enter into a constructive dialog to solve untraditional projects. An example of a project cargo could be the shipment of military units. Contact us if your product is not covered by the other areas of business.